How are the commercial partners of the Home Nations and close neighbour Ireland getting cutthrough at the Rugby World Cup? Sponsors of individual teams struggle for visibility at the tournament because of World Rugby's understandable desire to maintain exclusivity for its global partners at the stadia and in promotional rights. However, as O2 in particular has demonstrated, Home Nations sponsors can still grab people's attention while remaining within the rules. The mobile network, which has partnered with the England Rugby team for 13 years, has been spending big to whip up the support of the home fans and is not fazed by the fact its logo won't feature on players' shirts in matches. "We're very respectful of the rules and we're not going to do ambush marketing," says O2's head of sports sponsorship Gareth Griffiths. "We lose all the branding we have at Twickenham but there will still be thousands of fans at the game wearing the [O2-branded] England shirt. Around 150,000 to 200,000 England Rugby shirts are sold per year. 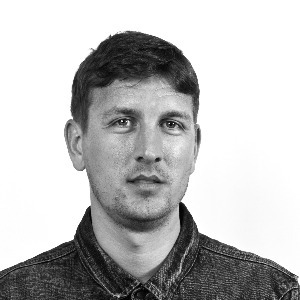 If you do the maths on that there's quite a lot of shirts out there with an O2 logo on." While O2 has been unable to give away match tickets, it is giving away 50,000 England rugby shirts to members of its Priority loyalty scheme. It is dedicating its marketing budget to encouraging fans to show their support for England by wearing the rose [the symbol on the team's shirt]. On 9 September, it debuted its 'Make Them Giants' animated ads, which can run throughout the tournament and show how fans' support makes the England team stronger. O2 has provided fans with digital means of showing their support, including turning their profile photos into a character animated in the style of the TV ad and using the hashtag #weartherose to have their tweets published in its advertising. This will reach fans on their way to the game on digital out of home billboards, for example at the giant Waterloo Motion screen at the central London station the departure point for trains to Twickenham. O2 stores have been given rose branding and are giving away a million rose badges, while O2 has also pulled together a hundred of the country's most passionate fans online under the banner Rose Army. "That creates a powerful grassroots social footprint for us and we've been delighted with it," says Griffiths (right). The sponsorship activation included a major event, Wear The Rose Live, on 9 September at The O2, which saw Take That perform to help send off the England team. 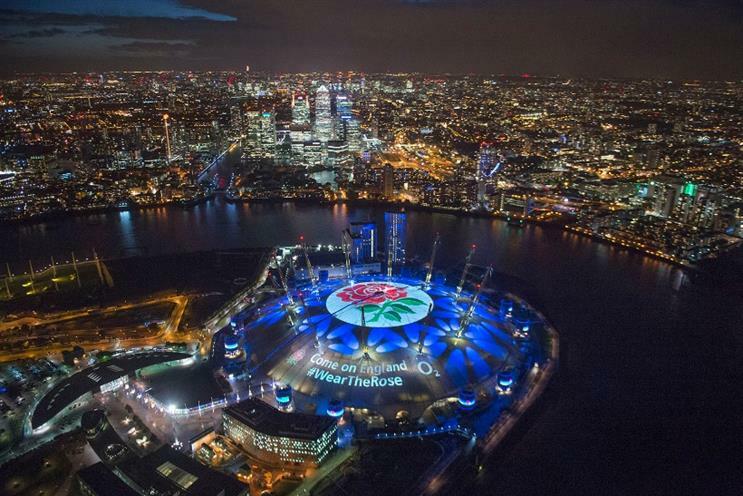 It was followed on 14 September by the unveiling of a massive projection of #weartherose visuals, including fans' tweets, onto the roof of The O2. This will stay in place for the duration of the tournament. The brand is measuring the success of the campaign in part by the number of acts of support it records, which can include going to a game, picking up a badge and sending a #weartherose tweet. Griffiths says its target is five million acts of support by the end of the tournament. As at 17 September its totaliser had recorded 1.4 million and by 22 September it reached three million. The England Rugby sponsorship, which is in place until September 2017, is measured purely on brand as opposed to sales metrics, adds Griffiths. With Scotland playing two matches in Newcastle, BT is sponsoring Scotland House, a takeover of the Lane 7 bar near to St James Park stadium. Admiral released an online video in the run-up to Wales taking on England on Saturday 26 September. It shows the company's own choir singing the Welsh national anthem in England territory - Victoria Station in London - helped by former Welsh player Scott Quinnell. Three, the mobile network set to merge with O2, appears to be taking a low-key approach to the World Cup though its Twitter and Facebook accounts in Ireland are following Ireland's action. The Unilever skincare brand has covered all the bases and secured official World Cup supplier status, allowing it to conduct a ticket giveaway as well as provide samples to the players. Meanwhile, its World Cup TV advert features players from all the Home Nations. While not a tournament sponsor, Lucozade has played on its links with the Home Nations in a TV ad humorously illustrating the lengths foreign players go to to get a drink that is "strictly for the Home Nations only". 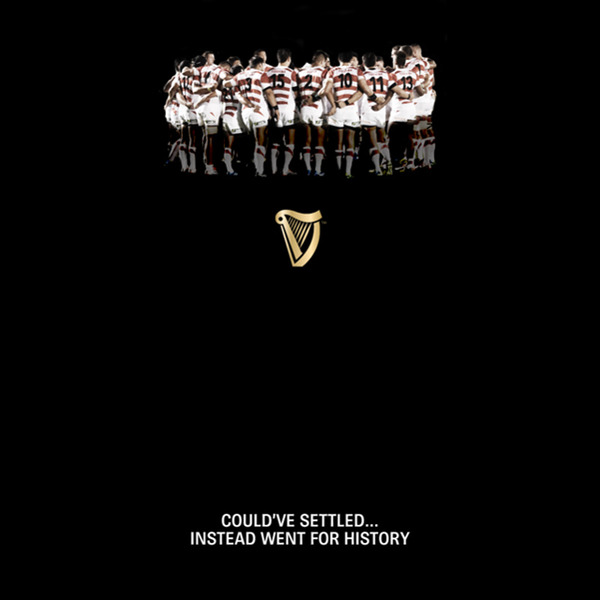 Guinness, also the official beer of the Six Nations tournament, has long been associated with rugby, but rival Heineken keeps it out of the Rugby World Cup stadia in favour of its own Murphy's Irish Stout brand. However, Guinness hasn't given up. It released this tactical ad to celebrate Japan's historic victory over South Africa on 19 September. Just before the tournament kicked off it made sure UK consumers were reminded of its association by attempting to reach 18 million adults with a 60-second ad about former Wales rugby player Gareth Thomas' courage in coming out as gay. Canterbury has released a special film as part of its ongoing 'Committed to ...' marketing activity. The film features former England player Will Greenwood and focuses on his feelings about pulling on the England shirt. The US sportswear brand launched a marketing and PR stunt showing off its sponsorship of a number of international rugby players, just before the World Cup. 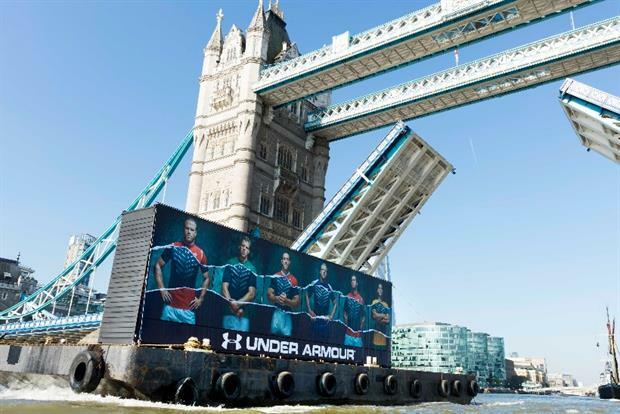 An image fixed to eight shipping containers floating on a 30m vessel on the river Thames showed players including Wales’ Leigh Halfpenny and England’s James Haskell sporting their Rugby World Cup shirts, ripped to show the Under Armour base layers beneath. Macron unveiled the Scotland World Cup kit, which features the Scottish Rugby tartan for the first time in 25 years, in June. Samsung's strategy is to appeal to both rugby fans and the uninitiated by mixing comedian Jack Whitehall with famous England players in the Samsung School of Rugby online content series, which is amplified by TV advertising.